Luxury goods group Kering has joined competitors in defying concerns of waning demand in China. 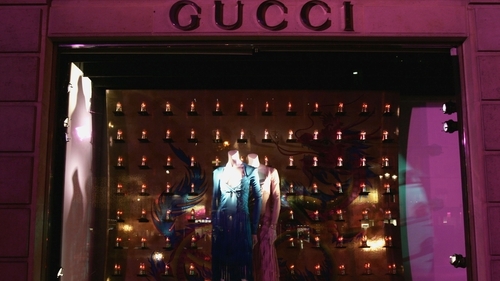 Momentum at its powerhouse Gucci slowed slightly in the fourth quarter but still outperformed most other fashion brands. The firm's comparable sales rose a higher-than-expected 24.2% in the October to December period, when stripping out currency swings and acquisitions. They were up 24.5% on a reported basis to €3.8 billion. "Sales among our Chinese clientele remained very dynamic in the fourth quarter, even with a high comparative base," Financial Director Jean-Marc Duplaix said today. Spending by these customers had shifted from overseas to mainland China, he added. The group's Italian label Gucci held on to its crown as one of the luxury world's fastest-growing brands. Comparable sales growth of 28.1% in the fourth quarter marked a slowdown from the previous three months but far exceeded that of rivals, while margins reached a record 39.5% in 2018. Gucci's might - with annual sales of €8.3 billion putting it neck and neck with privately-owned Chanel behind LVMH's Louis Vuitton as the top luxury label by sales - has raised questions about Kering's reliance on the label. It accounted for over 80% of the group's operating income in 2018.